To further describe SPLC as a cult is ridiculous. SPLC does not have a membership nor adherents. Most cults are based on some form of religion. The Unification Church (“Moonies”) is a cult. So are Scientology and Opus Dei. People like me believe that SPLC does a very good job at fighting extremism. That doesn't make me a cultist. The fact that most extremist organizations are on the political right and consider themselves conservative does not make SPLC a left-wing organization. Unfortunately the right does not always do a very good job of denouncing Nazis, Klansmen and white supremacists. How long did it take for Trump to do so in the wake of extreme violence? Lately, Richard B. Spencer seems to be getting a pass in spite of the fact that he is a white supremacist. 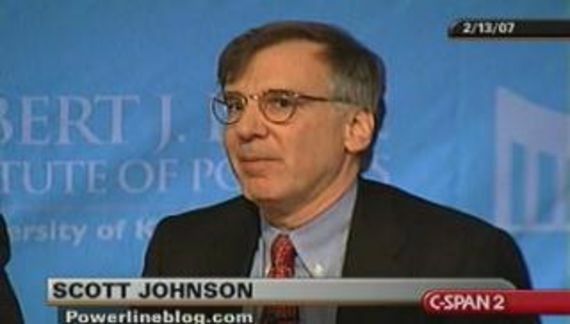 Mr. Johnson should be careful about who he describes as an “honorable conservative.” Are bigots honorable? 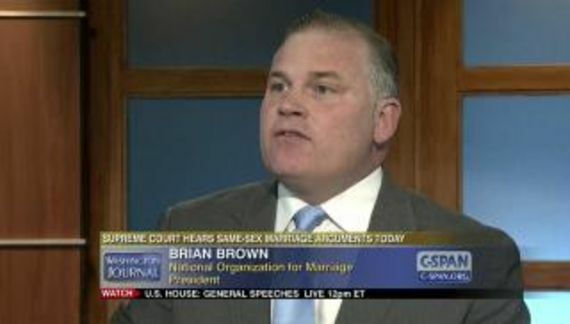 Are anti-LGBT bigots honorable simply because they are sanctimoniously Christian? While I am an atheist I believe that religion can be a force for good. Throughout recorded history, religion has also caused, or been an excuse for, some terrible evils. Where does Johnson draw the line? Swain also asserts: “Princeton professor Robert P. George. The SPLC has tagged Mr. George, a devout Catholic intellectual, as 'anti-LGBT. '” It did not require SPLC to make that claim. Robert P. George is an anti-LGBT bigot who has been so indoctrinated by the Catholic Church that he has lost the ability to utilize the critical thinking that he once might have possessed. George actually believes that gay people are “objectively disordered” in spite of medical science. George is also wed to the fatuous idea that transgender people do not exist because of the amateur psychiatrist known as Pope Francis. George, who is a lawyer, organized an unconstitutional nullification endeavor in the wake of Obergefell v. Hodges. That is how spectacularly unhinged Robert P. George is when it comes to gay people because of the right to marry which affects him in no way whatsoever. … white supremacists are enamored of first-time filmmaker Craig Bodeker’s A Conversation about Race, presumably because the polished documentary lends a veneer of respectability to their racist beliefs. Bodeker, who narrates the film, comes across as an affable guy intent on using logic and facts to debunk what he sees as the myth of racism. You won’t hear him using slurs or threats when he asserts on camera that the term is just a tool to malign whites. His posts on YouTube put the lie to that professional image and expose him for the bigot he is. He repeatedly refers to blacks, including President Barack Obama, as “monkeys.” In one post, he uses the anti-gay slur “fag”; in another, he suggests that Van Jones, the black White House advisor who resigned last month, should be lynched. The fact that Swain is African-American only makes her association with this bigot more appalling. Her excuses for endorsing the film are preposterous The basic premise of the film is that racism doesn't exist. It's all just a left-wing conspiracy to unfairly malign conservatives. Sounds familiar, doesn't it? Swain attacked SPLC for being unfair for outing Bodeker as the bigot that he is. On the offense is how she defended herself from her association with a racist. She further energized a controversy by attacking critics, not of her, but of the person she associated with. Swain is shameless. Swain reminds me of the vocal anti-gay gays like Doug Mainwaring. They get 15 minutes for being unique and then they are upset and claim victimization when criticism comes their way. So Mr. Johnson can call SPLC anything he likes. However, we all get to judge where we can find intellectual honesty, and where it has been abrogated in favor of personal biases.